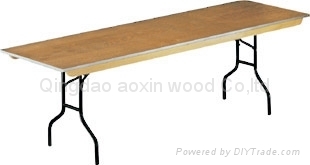 We are Aoxin wood Company, located in QINGDAO, CHINA. 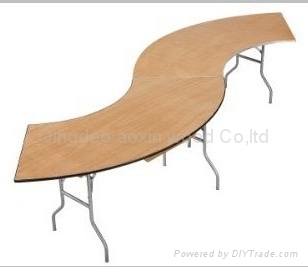 We supply all kinds of plywood folding tables , chairs , plywood and table trolleys .We are specializing in producing a large range of resin folding and stackable tables, banquet tables,wedding tables custom made tables as well as a range of specialized equipment. 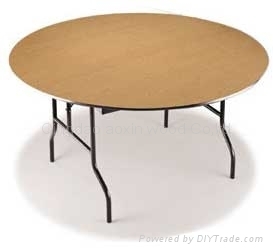 Due to the reliable quality standards, favorable prices and timely delivery, our company wins the good reputation worldwide. We had a turnover about 20 million us$/year .Now our products have exported to Europe ,North America ,Australia ,East and South Asia and many other countries .We are a manufacturer ,so we can produce special products to meet your special requirements. 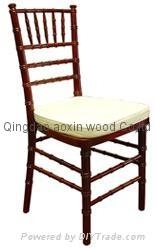 Welcome all world friends to our country and our factories for visiting, inspecting, business talking.